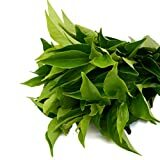 Tea plant for sale is grown from cuttings or seedlings. 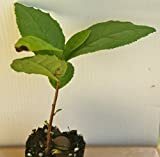 It is recommended to grow from cuttings or seedlings because tea plants are slow starters and can take up to 3 years to begin producing when grown from seeds. The best time to buy and plant this is during spring or autumn. This plant usually grows to about 1 – 2 meters tall and develops small white flowers. 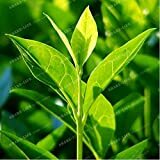 Tea plants are drought tolerant and will be able to withstand being waterless better than other vegetables in your garden. Location – Choose an area that receives partial to full sunlight. Avoid placing them near big trees because competition for nutrients will result to unhealthy tea plant. Make sure the location has protection against strong winds. Tea plant can live for up to 100 years so make sure your placement allows plenty of room to spread out. Soil – Tea plant thrives in a slightly acidic environment with soil pH of 5 to 6 and is rich in organic matter. If you are planning to place it in a container, you can purchase a soil designated for rhododendrons. Soil should be well-draining as tea plants do not thrive in water logged soils. If your soil is heavy clay, you may add a well-draining acidic potting mix to it before planting. Plant multiple tea plants at least 3 feet apart from each other. Keep your plant well-mulched to a depth of 1 – 2 inches of well-rotted compost, aged manure, or pine needles. But do not allow the mulch to touch the base of the plant as this will facilitate fungal disease during wet weather. Water – Instead of following a watering routine for your tea plants, you should feel the soil every few days to see if water is needed. Allow 2 inches below the soil surface to dry before irrigating. Tea plants are sensitive to saline soils, so watering with saline bore water is fatal. Fertilizer – Feed your tea plants once a year with a well-balanced acidic fertilizer before the growing season starts in the early spring. You can also use a liquid seaweed fertilizer for this plant. Pruning – It is best to prune tea plants in the late winter or early spring. Cuts should be made at 45 degree angles facing upwards to promote new growth. Prune them back about every 4 years to keep the plants productive and to prevent them from getting too big and tall. Occasional pinch pruning of the shoot tips induces bushiness. Harvesting – New young growths are the ones harvested for tea. Pick only tender, young shoots with 2 – 3 leaves. During a good growing season, it is possible to harvest every 2 – 4 weeks throughout the warm seasons. Dry your harvested leaves and boil or steam them if you want to have a warm tea. Use an oven set at 200-250 degrees Fahrenheit for 20 minutes or as long as needed in drying your harvested leaves.